The International Society for Sports Psychiatry was founded in 1994 to advance the specialty of Sports Psychiatry. The International Society for Sports Psychiatry aims to carry the science and practice of psychiatry to the athletic community, so that all people may enjoy the benefits of healthy participation in sports. Toward this end, the Society develops the field of sports psychiatry and advocates for mental health and wellness in sports. 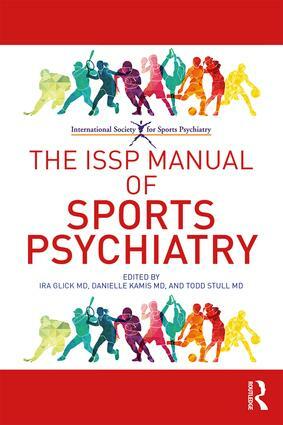 The ISSP was founded in 1994 to advance the specialty of sports psychiatry. Membership is open internationally to medical students, psychiatry residents, psychiatrists and--at the discretion of the ISSP board of directors--other clinicians interested in the field. Option to earn a "Certificate of Additional Training in Sports Psychiatry"